Are you considering taking up indoor gardening, so you have fresh veggies, herbs, and fruits, and save money for grocery shopping? It may sound a tad complicated and seem like a handful to newbies, but the fact is if you follow the basic rules for indoor gardening you can easily start your own home garden and pretty soon you will be able to enjoy the fruits of your efforts and dedication. Believe me, nothing feels more satisfying than picking that ripe delicious homegrown tomato and some fresh basil from your window sill pot to make a fresh, organic salad! A home garden will bring you joy, help you save money and will ensure that you eat the cleanest and most organic fruits, vegetables and others you can find. So, here are the basics which you need to follow in order to succeed in your indoor gardening endeavors. True, small cute pots look absolutely great, but in actuality, they are not suitable for growing large plants. You may be able to grow a sweet little plant in a small sized pot, but the limited root space will no doubt limit the growth of your plant, so it will most likely stay small and will not mature properly. So, always opt for pots or containers which are at least six inches high and six inches deep as a minimum. Another important feature to always keep in mind is that your plant container has to have at least one drainage hole on the bottom. Without proper drainage, the water will not flow through the soil properly and will eventually cause the roots of your plants to rot and die. You can get away with this problem by adding a few pebbles to the bottom of the pot before actually adding the soil, but the best option is to go with pots with holes, so you can monitor whether your plants are getting the right amount of water they need to grow healthy and big. You should choose a soil mix which is organic, and if possible one which includes bark or compost. This will ensure that your plants grow well and that the vegetable, fruits, and herbs which you pick and eat are organic and healthy as well. The best option is to go to your local gardening company or farm and to buy soil from them, or if you want you can opt for making your soil mix yourself. You can add components like coconut hair which helps the air circulation and ensure that some water is retained to bring the essential nutrients necessary for the growth of your plants to the roots. The fluffier the soil – the better the air circulation will be, and the more air your plant will get. The added compost and bark can add texture and richness to the soil which helps keep a healthy amount of moisture in the pot. Like water, light is essential for the growth and health of plants, as it is the basis for photosynthesis. 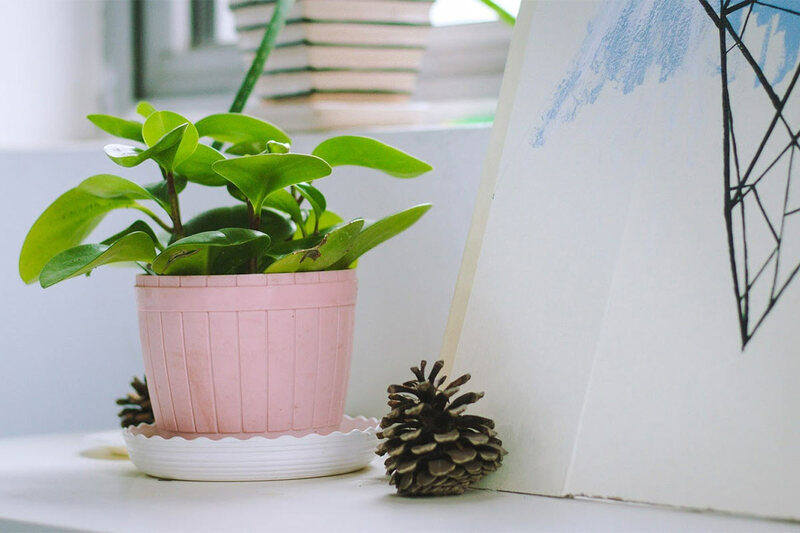 So, when you are planning your indoor garden, make sure that the plants will be getting enough light either from the window or from artificial plant lights or plant growing lamps. If you will be growing edible plants, you need to ensure that they get at least 12 hours of direct sunlight per day, although some can thrive well with less sunshine as well. If you have limited lighting in your kitchen but want to plant containers with herbs to use for all of those wonderful recipes you plan on preparing, you can plant mint, basil, scallions or arugula which are not so needy of direct sunlight and grow quickly even without too much of it. Most novices in indoor and outdoor gardening make the common mistake of overwatering the plants. So, make sure that you water your plants on a regular basis, and never leave the soil to dry completely. Instead of following a fixed schedule for watering, make sure you check the dampness of the soil by sticking your finger in it. The perfectly watered soil should feel damp, rather than completely dry or too soggy. If you detect that you may have overwatered your plant, let it dry out before adding more water to it. If you leave the soil to dry out completely, there is a risk that the next time you water it, the water will remain on the dry and hardened surface or pour along the sides of the container rather than spreading uniformly and reaching the roots. As mentioned above, you should avoid letting the soil of your home garden plants drying out completely. Remember to do a daily check of the soil and add water if the plant feels too dry. Naturally, when it is warmer inside and there is strong light, the water will evaporate faster, so in the warm seasons, or when the heat at home is up, you should water the garden more often than in the colder days. Don’t make the mistake of adding too little water because this can cause the plant to grow shallow roots and thus hinder the growth of the plant itself. Instead, add water until you see it seeping out of the drainage holes. This means that the water has passed through the soil and through the roots. After you are done, just pour out the excess water from the saucer under the pot to avoid potential damage and rotting of the roots. In case you live in a small apartment and have limited space, you can resolve your problem and still enjoy looking after your own home garden by using a grow tent. A good quality grow tent will allow you to grow your own plants and to have complete control of the humidity, temperature, airflow, and lighting without having to choose a dedicated space with enough natural lighting and with the appropriate humidity and temperature levels. As you can see, these indoor gardening tips are pretty simple, so just about anybody can start up their own indoor garden without too much effort, and without the need to make a huge investment. If you follow these general rules, you will pretty soon be enjoying watching your home plants grow and hopefully give fruit. The best news is that you can grow your own edible plants at home even if you don’t live in a huge house with a lot of sunlight. All you need to do is find the best spot for the plants, and take regular care for them. Of course, apart from picking the proper pots and soil, and ensuring that your vegetables, fruits and herbs get enough water, light and air, you should give them your love too. Nothing helps the plants grow big and healthy more than a loving touch!